Last week I won the 3rd Blogaversary Candy prize package from The Crafty Cuttings of Wiccababe. It arrived today (so fast–all the way from the UK to the US). Thank you Debbie, for holding such an awesome giveaway. I’ll be thinking of you and saying Thank you from now ’til Christmas! 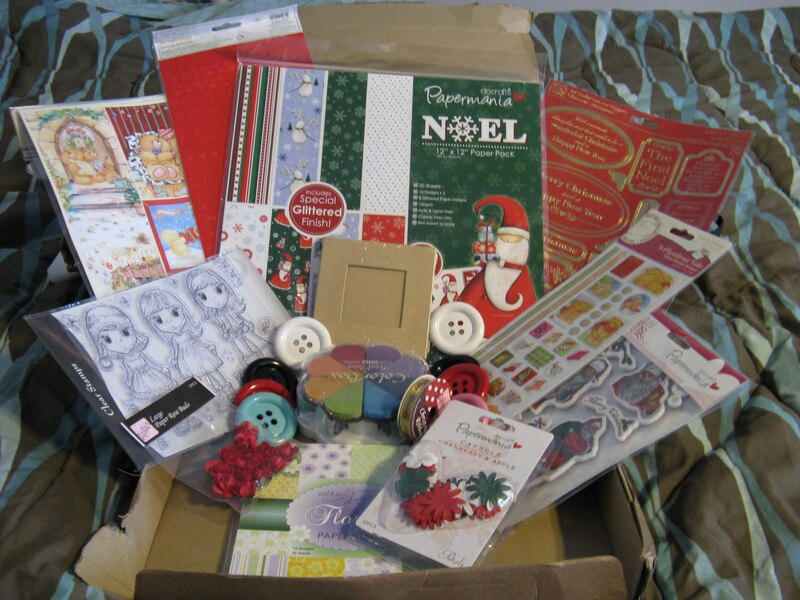 We’re talking Christmas Craft Nirvana here! Read it and envy me, lol! I’ll be making Christmas Cards this year! Next Post: Christmas Came Early This Year!